If you have a round window that you have to cover with a curtain, the same presents you with an opportunity to decorate your space. So, have you decided which curtain design you will use for your round window? This is a critical step as it, to some degree, affects how the track should be mounted. Nevertheless, the most popular track mounting design for round windows is circular, round the window. Here are some curtain ideas for round windows that you will find useful. The first is a round curtain that opens like a clock. This design of a curtain will have a central point to which the curtain opens. 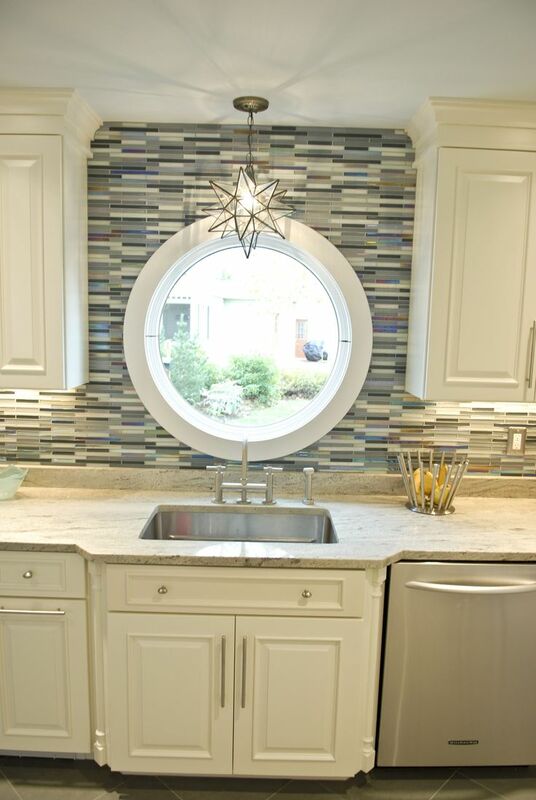 To make this design fit on the window properly and open just as a clock turns, you will need to have a circular window track mounted and some special window bars that allow for a central attachment of the curtain. This design is best suited for small and medium windows because when open, it mimics a clock in appearance. This design can be customized to suit your interior design preferences for example; the curtain material can be plaited to accommodate the extra curtain material when open. The other curtain idea for round windows is a design that is multicolored. What are your preferred colors or, what are the colors used in your space? Well, you can have these colors manifest in the curtain. This design involves having the various colors incorporated in a single curtain material. The various colors can be used in differing shapes for better display or to bring out a desired theme. One of the ideas is to have the colors sewn as to how the curtain opens. For the clock-mimicking curtain ideas, the colors can be sewn to form arches of the whole round curtain. If you have the normal room sized round windows or even bigger, then the most essential part when determining the curtain design is the upper part of the curtain. Because only the upper part of these types of window is round, then the best track to be mounted is the curved or bendable type. The track is mounted to take the shape of round/curved shape of the upper part of the window then a curtain suspended. If you prefer the conservative straight rod for the window track, then you can still go for it. However, to draw attention from the straight bar or even the curved/bendable track, you can have the head of the curtain designed to bring out very elaborate and modern designs. The good news is that, there are no standard curtain ideas for round windows and the field is wide and open for creativeness. Moreover, interior space or any other space that is under your name is simply another opportunity for you to express your personality. Therefore, feel free to explore the opportunities available and bring in your creativeness and have what you refer as your curtain.